Ace Combat developer believes that his fast-paced military flight-sim can profit from the popularity of Call of Duty. 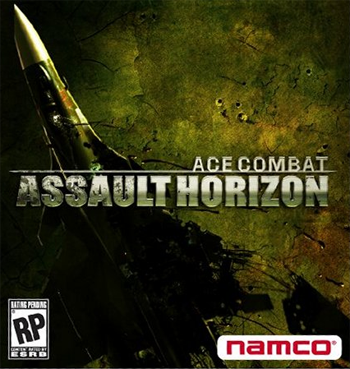 Published by Namco since 1995, the Ace Combat series spans over 13 titles which portray wars between fictional countries that are generally analogous to nations here on Earth. Similar to Western games like Wing Commander, a large over-arching story is hinted at while the arcade-ey combat features planes and other aircraft that are generally accurate to the real world, even if there's the occasional fictional super-weapon. The next installment in the series is called Ace Combat: Assault Horizon and designer Kazutoki Kono thinks that his game can offer a lot to fans of Call of Duty because of its fast-paced and first-person gameplay. "We believe there have been a lot of FPS games coming out recently, the market has been a little saturated with them. We'd like to bring something new where you're shooting in a high-speed environment," Kono said. "We didn't have direct influence from Call of Duty, but I do think it is a spectacular game and we would like to reach the same level of success." While there's a big difference between a flight sim and an FPS, Kono is encouraged with the reaction that Ace Combat: Assault Horizon is getting. "A lot of people who aren't flight-sim players are telling us how it's really cool and they're interested. To hear that feedback is reassuring and we hope that we'll nail it." I can't say that I've been a big fan of straight up flight sims, but I've missed the well-crafted dogfights I used to enjoy in games like X-Wing and Tie Fighter. If Ace Combat: Assault Horizon can offer anything similar than it might just be the awesome that I've been waiting for.